“I need meaningful math centers.” This is a comment I hear a lot and I want to talk more about it because I feel like it’s one of those phrases that get’s thrown around, but doesn’t get defined. Before I share more, let’s backtrack just a little bit. 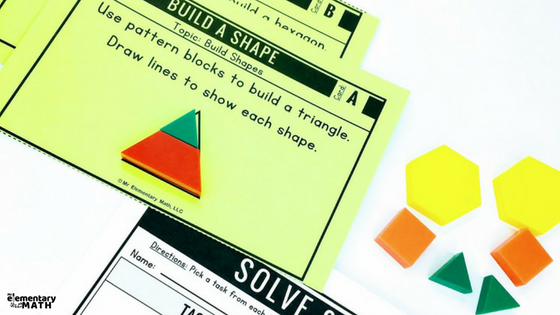 We’re in Part 4 of The Ultimate Guide to Math Centers. During this blog series, I’ve shared tips on planning, organizing and managing your centers. What goes in those workstations is the next logical question. 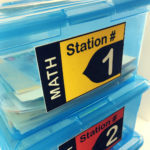 I think you would agree that whatever you put inside your station bins needs to be meaningful. So, what makes a math center meaningful? When in doubt, ask yourself these five questions. 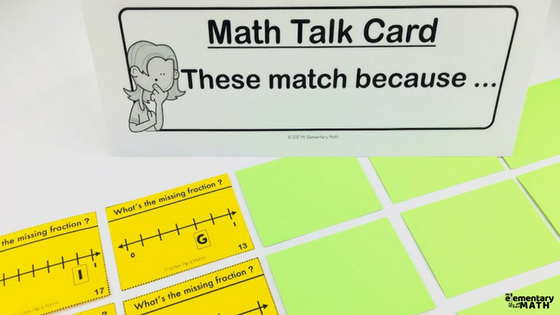 Does It Encourage Math Talk? 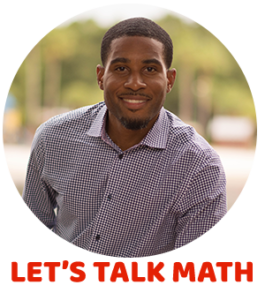 We want our kids engaging in meaningful conversations around math, right? And the best way to get students to learn academic vocabulary (i.e. sum, compare, product) is for them to actually use it. 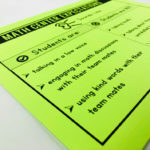 Promoting math discussions between students also improves communication skills which in turn bolsters students’ math confidence. 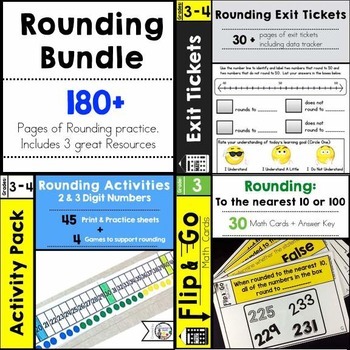 Meaningful math centers allow opportunities for your kids to be able to share how they solved problems with their partner or their group members. First, let’s break down what engagement looks like. Close your eyes. What do you see? I immediately visualize students working together on a hands-on activity that is visually stimulating. I see smiles on kids faces and hear excited voices talking about math. If kids are working independently, I envision activities that have just the right amount of a challenge to keep them interested. 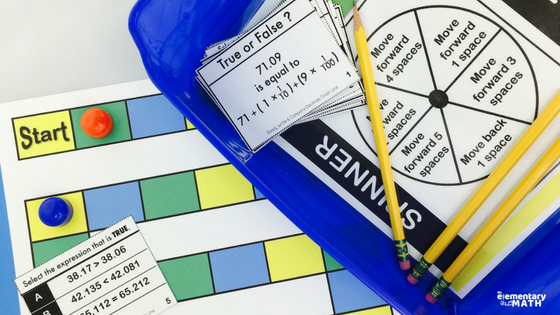 Meaningful math centers keep your kids engaged and on task. Are my Kids Exposed to a Variety of Question Types? This is an important one. I used to think it was unfair when my kids took a test and didn’t do well because the question asked it “this way” instead of “that way”. But then I had to really reflect and think, if they truly mastered the skill it shouldn’t matter how it was asked. That’s when I realized, I needed to expose my students to different question types. I would show my students alternative problem types while I was teaching in whole group, BEFORE I put it in my math centers. There’s a multitude of ways to vary questions. The first way is by question type. Here are some examples of the types of questions you often find on district or state tests. 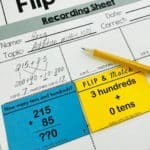 Simply increasing or decreasing the number of digits in a problem is not enough, it’s also about how the question is asked that either taps into deeper thinking or makes a problem more accessible. Question #1 – Round 14,128 to the nearest hundred. Question #2 – When rounded to the nearest 100 a mystery number rounds to 700. If rounded to the nearest 10, the mystery number rounds to 750. What could be the mystery number? Give 3 different examples. Question #2 requires more critical thinking that Question #1, even though the number used in Question #1 is larger. 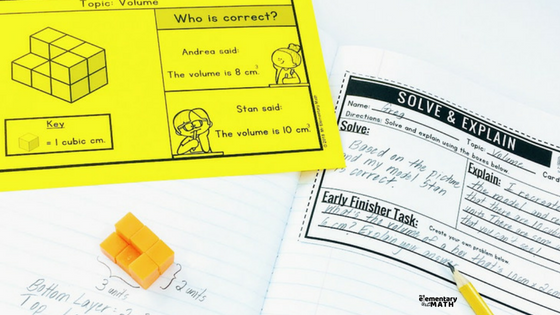 Meaningful math centers expose your students to a wide range of question types so that they can work on true mastery of a skill or concept. Do my Students Have Opportunities to Explain Their Thinking? This can be achieved by using open-ended questions. There is nothing wrong with closed-ended questions, but the problem is when that is the ONLY type of question kids encounter during center time. Kids need to have opportunities with both types of questions. Closed-Ended questions can be answered with only one word or a very short, specific answer. Example: How many sides does a square have? Open-Ended questions require more in-depth response. Example: How are a square and a triangle different? How are they the same? Meaningful math centers require students to explain their thought process and justify their answers. This helps develop critical thinking skills. Are there Models and/or Visuals to Support the Concepts? 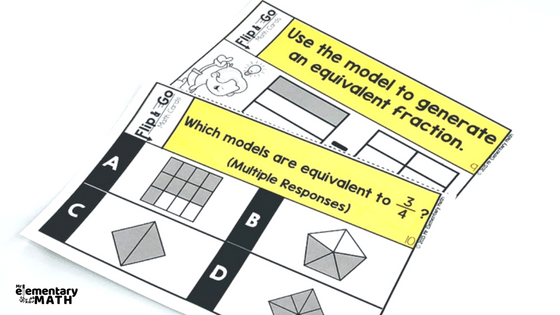 Using models and visuals are staples when teaching math, so why not have use them when kids are reviewing in their math centers? 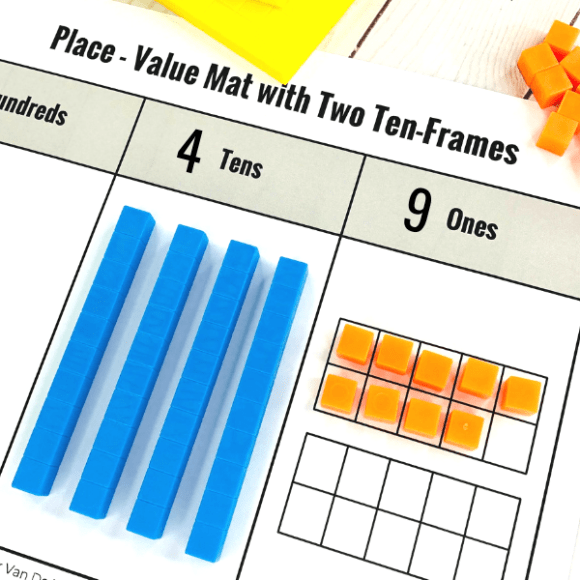 Meaningful math centers either include clear visuals and/or models or encourage kids to use them to solve problems. 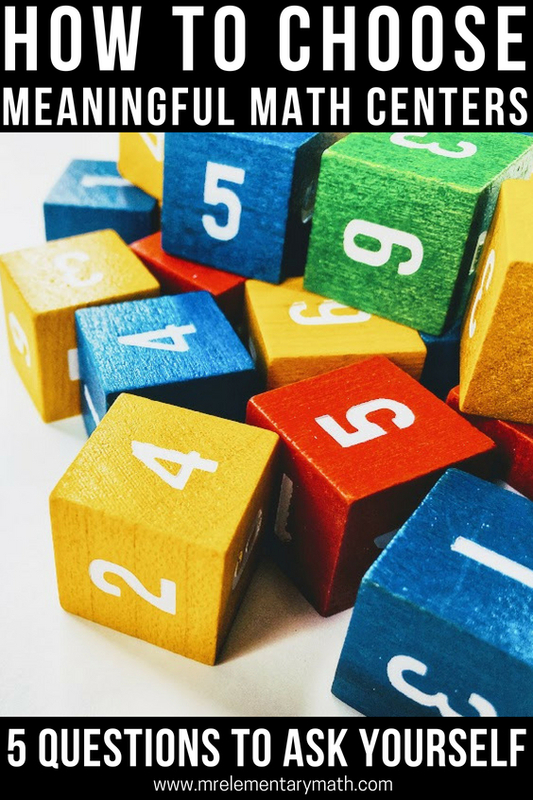 Each one of your math center activities doesn’t have to meet ALL five components, but should have at least 2-3. 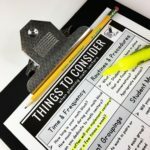 Don’t have time to look for centers with the above characteristics, check out my Math Centers 101 Course. 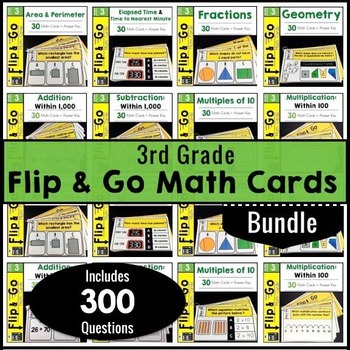 It includes ALL the math centers (task cards, games, problem solving tasks) that are pictured above.